Looking for Horse Property? Well, Here It Is! 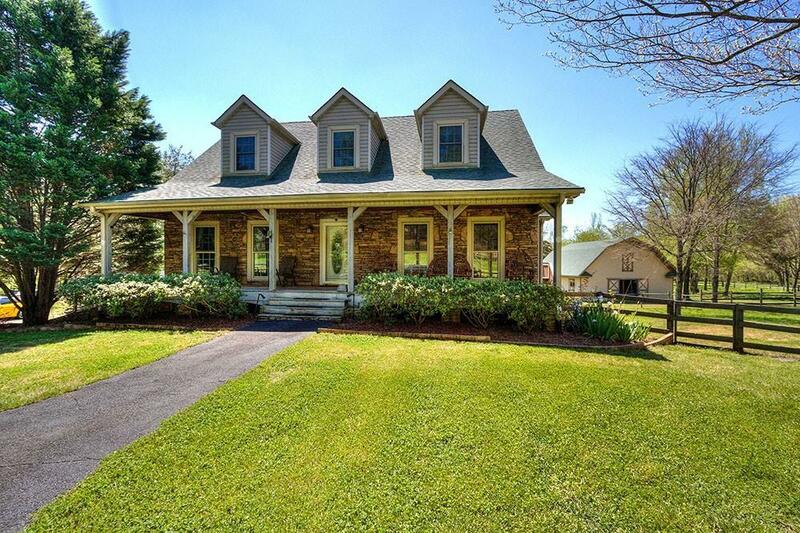 Country style 3 bedroom 3.5 bathroom home located on 4 acres with a 5-Stall Horse Barn! Beautiful Location with stunning views of Pine Log Mtns. The Master bedroom is located on the main level. 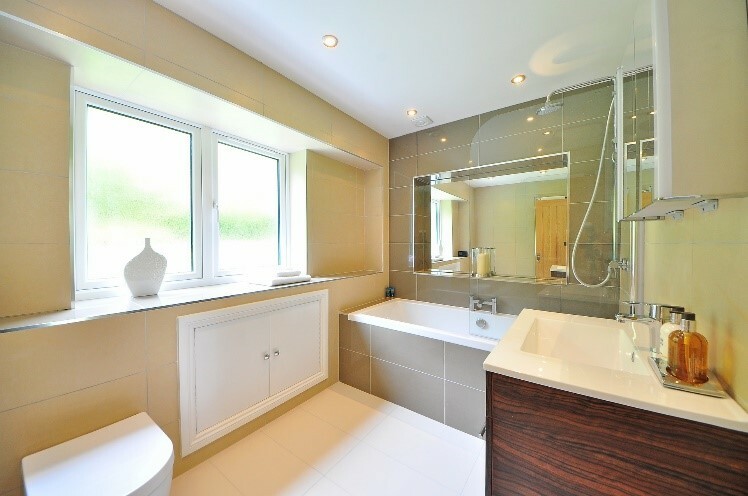 Master bathroom features beautiful tile flooring, large jetted bathtub, separate shower, and double vanity. This home Features Heart Pine Flooring on the main level and a stunning 2-Story Great Room with a large Stone-Front Fireplace. Expansive kitchen features custom built cabinets, solid surface countertops, and a double oven. Two Bedrooms and Two Bathrooms are located on the upper level. This home also features a finished basement with a family room, recreation room and full bathroom. Screened Porch & Huge Deck overlook stunning cross-fenced pastures. Additional features include Solar Panels for Hot Water, Several Storage Buildings, Huge Covered RV Parking & more! Too Many Details to List! Hurry, It's A Must See! If you are planning to do some remodeling of your home, you know there will be cost that goes along with the remodel. Many homeowners falsely assume that repairs and updates they make improve the value of their home by the cost of the update. That is rarely true though some items come closer than others. Many updates will make your home more appealing and may make a buyer prefer your home over another, but they don’t give you a dollar for dollar return. Before you decide on updates though, it is a good idea to research the return you can expect on your investment. There are different ways you can do this, but none are scientific. Information is available online that has taken many years of updates into account and I am also a great resource as I have seen many updates and talk with buyers as they are looking at homes to know what they place increased value on. There is no formula that tells you exactly what you can expect to see in return, but a nicely updated home will always show better and get better showing feedback than a home that is dated and in need of repairs. Remember that your home should be a place that you are comfortable while you are living there so make updates with that in mind if you plan to be there a while. 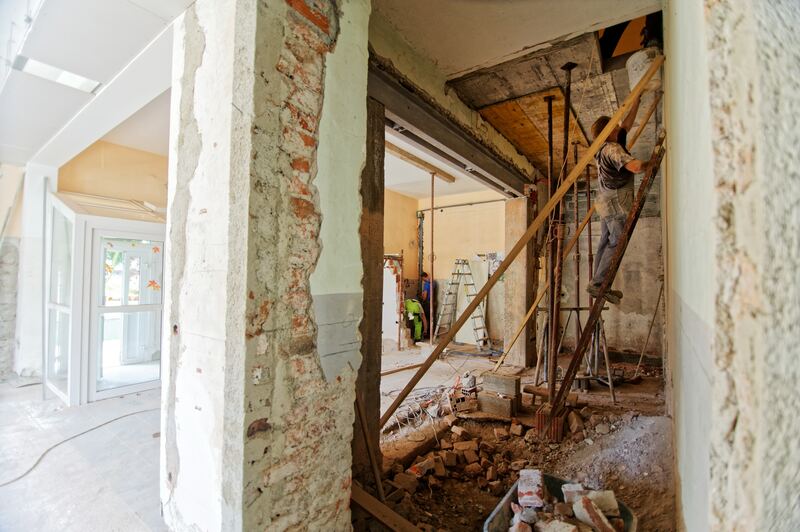 You may have other reasons for remodeling, but if you want to be smart about your investment, this information can be very useful. And when it does come time to sell, be sure to let me help you get the most value from your home. If you are in the process of making some updates to your home, flooring is often an area that needs regular updating. Today, there are endless options to select from when you make updates and it may be hard to know where to start. The rooms you are looking to install new flooring in may narrow down your options some but there are still lots of choices in most of the varieties. Make sure to think about maintenance, cost, traffic and the look you are hoping to achieve as you are making your decision. There are 5 types of flooring that are common in homes. Here are some pros and cons of each. Vinyl or linoleum – While these are different materials, they have many similarities so they can be evaluated together. Linoleum is the more expensive of the two options and is made of natural materials so it is sometimes found in environmentally friendly construction. Both materials are durable and water resistant making them nice options for kitchens and baths. They come in a wide variety of colors and patterns and vinyl is a pretty inexpensive option for budget conscious construction and remodels. Tile – Tile comes in both ceramic and porcelain varieties and is extremely durable. A more expensive option than vinyl or linoleum, the life of the product helps balance out the cost. Tile does require more expertise to install than vinyl or linoleum so it may not be a DIY option for many people if you are trying to cut costs. Tile comes in many colors and styles and can be a nice option for kitchens and baths as wells as entries and hallways due to its high durability. Hardwoods – Hardwoods are a favorite among many people due to how nice they look. They can be installed relatively easily but do require maintenance to extend their life and keep them looking nice. They work well in almost any area except for bathrooms or places with lots of moisture. A long lasting option, the cost is balanced by the life of the floors with proper maintenance. Laminate hardwoods – These offer a less expensive option to hardwoods with a similar look but don’t work well in wet areas. Repairs aren’t possible to make though you could replace in small areas but the different ages of the laminate would likely be noticeable. Carpet – Carpet is probably the most common option and provides warmth in homes and is common in bedrooms and living rooms. It is pretty easily damaged from stains and spills and shouldn’t be used in kitchens and baths. While carpet is pretty easy to clean to remove many stains, it will start to show wear over time especially in high traffic areas. Even if you are completely happy in your home, it’s always a good idea to think about the resale value of the product you select as many things in your home will be around much longer than you are and you don’t want to pick something that will decrease the value or appeal of your home. Feel free to call me anytime to discuss your update plans to make sure you are making choices that will be good long term options for your home. Many home buyers are drawn to newer homes that can be customized to meet their needs, have never been lived in and come with great neighborhood amenities like pools, clubhouses, fitness centers and walking trails. 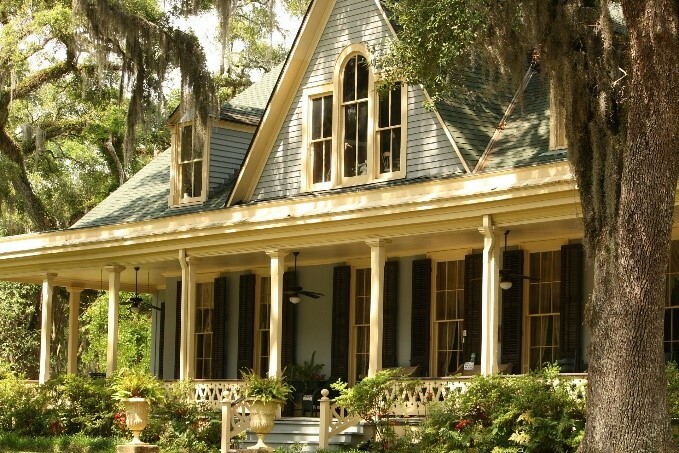 Maybe this is just what you are looking for but if you would rather have a home that is full of character and charming details that you can’t get in a new home, buying an older home may be the right thing for you. First, let’s evaluate the pros and cons of buying an older home. Older homes are often located close to the center of town putting you in great proximity to the heart of the city and all it has to offer. If you like the vibe that downtowns offer with museums, restaurants and shopping, you may love being close enough to walk to dinner with your neighbors on a Saturday night or meet friends for brunch and a gallery opening. Buying an older home may allow you to stretch your real estate dollar further than with new construction. The home may also come with window treatments, blinds and other things you don’t think about but would need to purchase in a new home that saves you money over having to purchase them right away with new construction. Cookie cutter neighborhoods are just that. The houses all look like they are cut from the same mold or one of a few molds. This is what you find in most new neighborhoods. Do you want your home to look like everyone else’s or have a unique style of its own? Older homes are in established neighborhoods meaning you won’t have constant construction going on around you and have to contend with construction traffic and the noises and sights of it every day. Trees that have been around a while provide great shade as opposed to saplings that need years to mature. Now, let’s consider the flipside. Since the home is older, you are more likely to be surprised by a major problem than with a new home. Plumbing repairs, foundation issues, HVAC replacement…all of these are items that have to be dealt with periodically and are expensive. If you buy an older home, make sure to select a home inspector with experience in older homes to perform your inspection. Older homes were built with different features than new construction homes today. Walk-in closets, master suites and bonus rooms were not prevalent in prior generations so if you are wanting some of those features, you will need to choose a newer home or make some changes once you own the home. Investing in an older home can be a great choice for the right person. Just remember what you are getting into when you buy an older home and be ready for the good and the bad. Contact me today to discuss your options and start trying to find your dream home. Now that you have sold your home and closing is getting near, are you considering leaving a gift for the buyer of your home? By no means is this a requirement or even expected but it certainly is a kind gesture if you choose to do so. Since your property will be closed by the time the buyer receives your gift, there is no ulterior motive to this but just a chance to show your love of your home to its new owner. Whether you have lived in your home for five years or 25 years, you may be feeling nostalgic as you spend your last days there. What better way to say good bye to your home then by leaving a gift to welcome its new owner. This doesn’t need to be an extravagant gift or anything in particular. If you want to do something and aren’t sure what to do, here are some things to consider. A vase of flowers is always a nice touch. Leave them on the kitchen counter where they can’t be missed. A basket of necessities as they get settled in the home. Include a roll of toilet paper, a roll of paper towels, trash bags, soap, Clorox wipes, a few bottles of water, a snack like granola bars or fruit and even a bottle of champagne. Include any extra items you had on hand for the home such as light bulbs and air filters. A gift certificate to your favorite local restaurant. After a full day of moving, they will love relaxing for dinner somewhere nearby. Beyond the gift you leave, the best thing you can do would be to leave a note to go along with the gift. In the note, welcome them to the home and tell them you hope it is a special place for them like it was for you. If you have children that have lived in the home (even if they are older now) and they have children, ask your child to right a note and share something special like the best tree for climbing or a shortcut to the park or neighbor’s house. These personal gestures can really make a big impact. 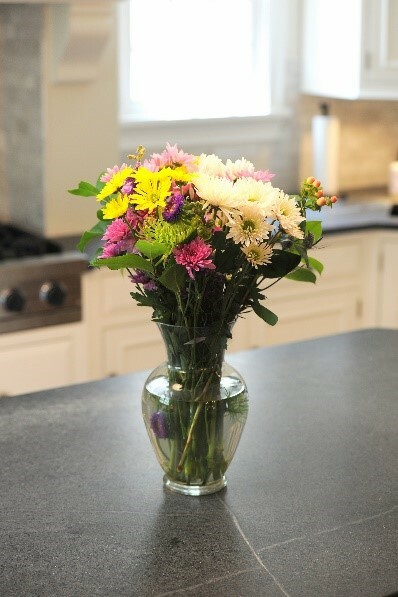 Along with your gift and note, add a list of your favorite home professionals that helped you take care of the home such as a handyman or landscaper, the names and numbers for the closest neighbors and a list of your favorite local restaurants, shops and professionals. None of this is necessary but as a way to introduce your home to its new owners, I am sure it will be appreciated. It truly isn’t about the price of the gift but the thoughtfulness behind it.